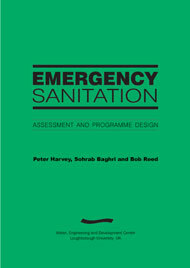 This book is designed to assist those involved in planning and implementing emergency sanitation programmes. The main focus of the book is a systematic and structured approach to assessment and programme design. It provides a balance between the hardware (technical) and software (socio-cultural, institutional) aspects of sanitation programmes, and links short-term emergency response to long-term sustainability. The book is relevant to a wide range of emergency situations, including both natural and conflict-induced disasters, and open and closed settings. It is suitable for field technicians, engineers and hygiene promoters, as well as staff at agency headquarters.